Bad news for American cyclists? 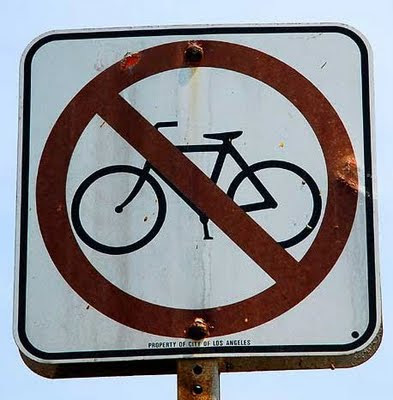 There's a campaign in the rural US Midwest state of Iowa to ban bicycles on 'farm to market' roads (ie most Iowan roads, I'd imagine). Sounds nuts, but I've read some worrying stuff about the way cyclists can be treated in the States - Mark Beaumont was knocked off his bike and mugged ON THE SAME DAY in Louisiana on his round-the-world trip, and Jane Tomlinson had beer bottles thrown at her during her coast-to-coast cancer charity ride. I'm hoping to ride the US coast-to-coast when I have some time (maybe for my 50th? ), but it's a worry. People have tossed oranges, trash bags, and ice at me. I've been nearly side-swiped. But those incidents over all the years have been relatively few, and none dangerous. So I think if you cycle here again, you'll have a great time. Most people are friendly. On the other hand, I do fear the inattentive driver, and they are everywhere in the U.S.
Good point, well made, thanks David.